This entry was posted in Uncategorized and tagged BoJack, BoJack Horseman, ice cream, Netflix. Bookmark the permalink. I just started watching BoJack on Netflix the other day. I don’t know how sold I am on it yet, but I’ll give it a go. I wish I could binge on a season in one day! I can usually only watch one or two episodes of a show before I have to tune into something else. Especially with a comedy, but kudos to you. So did you end up watching the second season in one day? 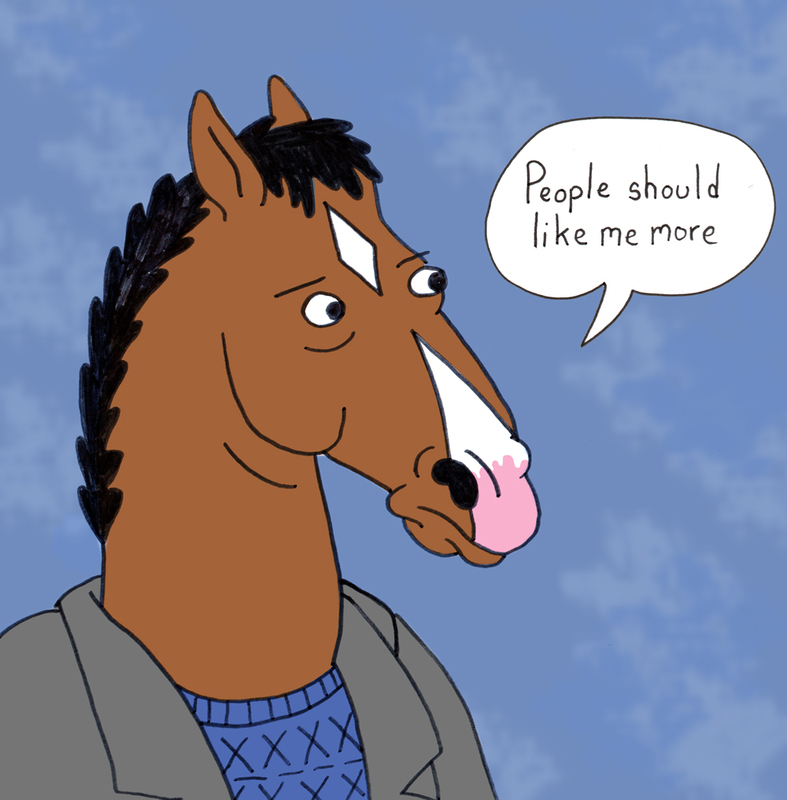 I think BoJack Horseman isn’t for everyone and it takes a few episodes for some people to like it. I’m just addicted to television in general. I recommend trying to get through the entire first season before completely making up your mind on how you feel. I finished all of the episodes on Sunday, so I wasn’t a complete Bender for me, but I do feel a bit empty now. Ok I will watch the first season… just not all at once. haha. I must admit that the shows you don’t immediately “get” straight away sometimes are the ones you fall in love with and you just look at everyone else and are like “How can you not like this show?” haha. Don’t hate me, but I couldn’t get into Bob’s Burgers either. I guess we all can’t like everything, right?